Why it is mandatory to undertake water treatment process? Life and water are synonymous. It is the essential element to survive and is used in multiple ways. Whatever be the purpose of using the water, be it domestic, commercial or industrial it is always important to ensure the quality of the water supplied. It must bear high standard and that is ensured by running the water through a number of water treatment processes. The procedures are undertaken in a water treatment plant. 100% pure and clean water is nothing but a myth as it is almost impossible to achieve 100% purity in the water. As many times the water is cleansed or passed under different treatment processes, it contains some elements that might or might not be harmful to our health. In course of time the number of harmful elements in contaminating the water is increasing and they have the ability to kill animals and even human beings. The most harmful elements happen to be the parasites, bacteria, virus, campylobacter, cryptosporidium, giardia, algae, fungus and so on. It is also seen that the water tends to carry toxic metals like lead, copper and many others. The water treatment process decreases the level of contamination in the water and makes it safer and cleaner for various usages. The treatment procedures of water are undertaken not for providing clean and safe water for drinking but also for using it for industrial and commercial purposes. There are also procedures to treat waste water before they are disposed off. Thus the water goes back to the environment to be used again. There are three stages involved in water treatment process and they are the primary, secondary and tertiary stage. Each of the stages includes a number of minute procedures, which are undertaken with great care to assure that there are no visible elements dissolved in the water. Maximum care is taken for removing the impurities when the water is meant for domestic purposes. Even the finest elements are removed with in-depth attention. How does water treatment plant purify waste water? Who does not know the how much importance water has in our life? Water, the other name of life, is found in plenty in the world. But only few per cent of the water is suitable for drinking. In fact, today there is a scarcity of drinking water. To purify water and suitable for drinking, water treatment plant is very much necessary. Used water which comes out of industries can be purified and again made it fit for drinking. Water treatment plants make it possible. 1. Water treatment is about the removal of the undesirable materials, chemicals as well as the other contaminants which make the water unhygienic. 2. The very first step is pumping the waste water in the water treatment plants. As far as the physical infrastructure is concerned they should be made of the appropriate material. Otherwise the plant will not be able to store the water and there will be leakage. 3. The next step includes screening. Debris such as trash, leaves, stones and sticks are removed from the water. 4. After screening comes the step of pre-conditioning and pre-chlorination. In the pre-chlorination process chlorine, which is known for its purifying property, is added to the water. However, one of the main problems of adding chlorine is that the taste of the water becomes really bad. 5. After all these processes are followed, pH adjustment of the water is done. The water is also filtered here. After following the above steps, the water is finally purified and made suitable for drinking. Why are water softening plants set up? 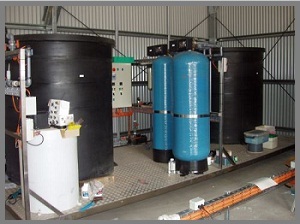 Water treatment plant design is very much identified with the steps filtering or treating water. Water treatment plants are set up so that the various types of contamination present in the water is removed. The plants also lessen chance of germ build-up. After treatment of the water, it is packed into bottles. It may be mentioned here that these bottles are made of reliable and superior quality of plastic. The treatment process includes several steps such as sedimentation, distillation and filtration. The water is treated so that it is sufficiently hygienic and suitable for drinking. The required minerals are also put into the water. Mineral water is the most preferred water of most of the buyers. This kind of water is best suited for those who are prone to diseases carried through water and provides much guarantee on the safety or purity. There are several mineral water brands which manufacture packaged drinking water in pet bottles. These bottles are priced reasonably so that customers of all sections of the society can afford to buy them. A good number of water softening plant have been set up in different parts of the country. By using different processes like that of Water treatment plants, water softening plant makes the water suitable for several types of industrial purpose. This type of treatment helps to facilitate the different processes used for treatment of water and make them suitable for drinking. After the treatment is over, the water is packed in sealed bottles to ensure safety of the water. 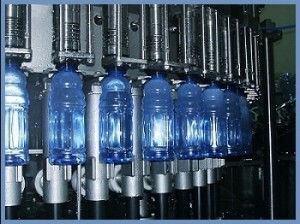 The bottles are manufactured while keeping in mind the requirements of customers/buyers. It is always advised that one should not buy a bottle whose cap is not sealed. This is because the open seal is enough proof that the water inside is contaminated enough. Mineral water is the healthiest type of bottled water. You can do good business by setting up a mineral water plant or a packaged drinking water plant. Mineral water is the healthiest type of bottled water. Drinking it regularly enhances our overall well-being. Several mineral water plant projects have been undertaken in different parts of the country. You can do good business by setting up a mineral water plant or a packaged drinking water plant. Let us discuss five mistakes you must avoid to have good business. 1. No proper market research- You should do proper market research. Go out in the area and do an extensive research about the rate at which people buy water there, from where do they buy and schemes offered to them by the supplier. In fact this is the best place for doing your market research. 3. 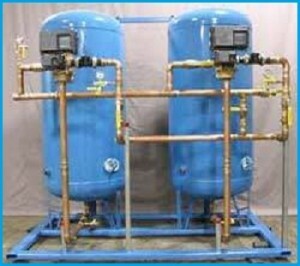 Not properly deciding the Land, Building Size, Machinery- Select a proper supplier for your turnkey mineral water plant. 4. No proper plant outlet- The layout is an extremely important thing. By a proper plant layout, you can have an idea about the accommodation. You can also decide where the machines will be placed and how much space will be left and many more issues. 5. No proper plan - Maximum people do not plan their project properly. You should always keep in mind that planning is the ultimate key behind the success of your project. Keeping these few points in mind will immensely help you in your business. Since safe drinking water is very much in important, being in this business is very much profitable.